Growing up isn’t easy; there are so many emotional lessons to face. A child has to learn how to make friends, try new things, and accept others while standing up for him or herself. There are times to be brave, angry, kind, sad, generous and forgiving. 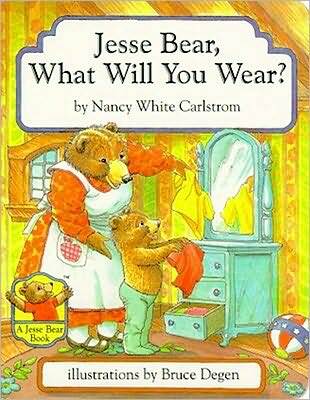 For every life lesson your child encounters, there is a children’s book about that feeling that you can read aloud. When a character in a book is going through tough decisions, talk about the conflicts or messages in the story and the resolution. The stories you read can be a springboard for discussion and with your guidance can give your child the confidence to make good choices in life. 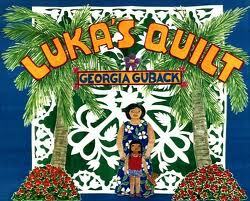 “Luka’s Quilt” by Georgia Guback. A Hawaiian grandmother and her granddaughter have a disagreement about the pattern in a quilt, but find a compromise together. “Chester’s Way” by Kevin Henkes. Chester Mouse and his friend Wilson struggle to let newcomer Lilly into their everyday play. “Tutus Aren’t My Style” by Linda Skeers, pictures by Anne Wilsdorf. Emma gets a package in the mail from Uncle Leo and is surprised to find a ballerina costume. She is more the jungle explorer type! Emma finds out that her uncle accepts her for being just the way she is. “Corduroy” by Don Freeman. The lovable bear Corduroy has to be very brave to wait in a toy store until someone finally chooses him to take home. 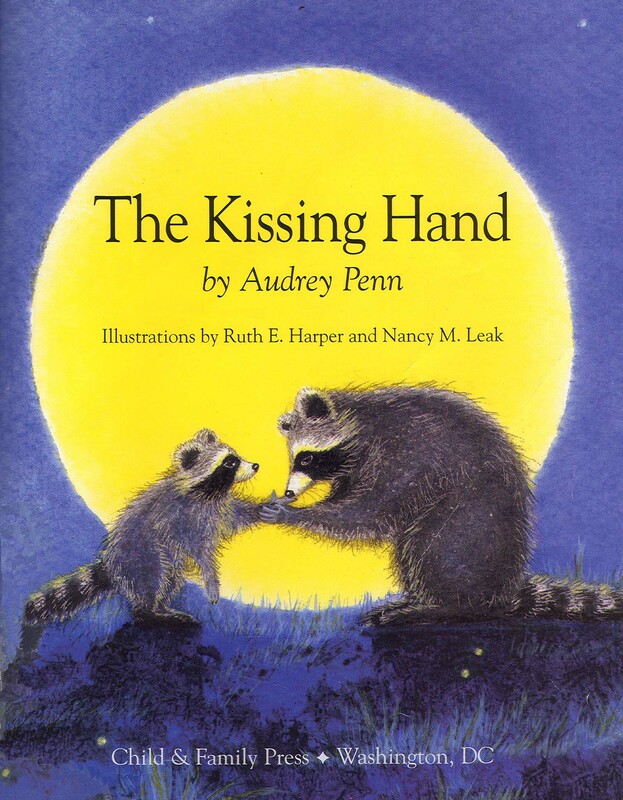 “The Kissing Hand” by Audrey Penn, illustrated by Ruth E. Harper and Nancy M. Leak. A baby raccoon finds that going to school for the first time is much easier when you know you are loved. “One Dark Night” by Lisa Wheeler, illustrated by Ivan Bates. A mouse and a mole meet up with a very large bear in this rhyming tale. “Daisy and the Beastie” by Jane Simmons. When you don’t know what something is, it can be frightening! Two ducklings go on adventure to confront the beastie and are pleasantly surprised. “Making the Team” by Nancy Carlson. Louanne Pig wants to be a cheerleader for the football team, but finds that she is better playing the game than being on the sidelines. “Farmer Duck” by Martin Waddell, illustrated by Helen Oxenbury. A barnyard full of animals decides to take over all the farm work and run the place on their own. “Ruby in Her Own Time” by Jonathan Emmett, illustrated by Rebecca Harry. Ruby the young duck is slower in learning duck things than her siblings, but she catches up when she is ready. “Mean Soup” by Betsy Everitt. When everything goes wrong for the whole day, Horace’s mom helps him let off some steam by making Mean Soup. “When Sofie Gets Angry – Really, Really Angry” by Molly Bang. Sofie has a bad day, but cools off by taking a run, then a walk in the woods. When she comes back she is civil again. “Alexander and the Terrible, Horrible, No-Good, Very Bad Day” by Judith Voirst, illustrated by Ray Cruz. A humorous telling of grumpy Alexander and his out-of-control life. Have you ever wondered why animals are the main characters in many children’s books? Animals that talk, walk, wear clothing, and even drive cars often replace humans in stories. Why not just use people characters? The choice to use animals instead of humans can come from the author or the illustrator. The illustrator may prefer to use creatures as a way to emphasize a character’s personality like an owl teacher that is wise or a mouse librarian that is quiet. Using the opposite of what is expected also works and adds surprise and humor to a story, such as a very loud mouse construction worker or a bashful lion accountant. 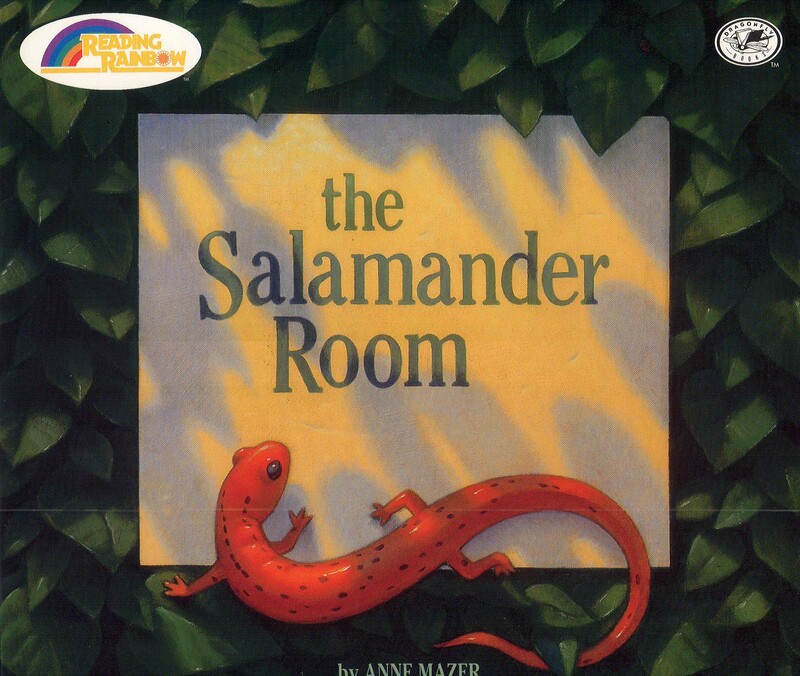 When an author writes a story about sensitive subjects like being truthful or being scared to go to school for the first time, an animal character can help give the message in a way that isn’t so threatening to a young child. It’s not as emotional to see a raccoon child with tears in his eyes before the first day of kindergarten as it is to see a human child. The personification of any non-human form, like animals, objects, and even the weather is described by the term “anthropomorphism,” and you’ll find that many, many children’s books use this technique. Here are just a few authors and illustrators that use animals to tell their story. Rosemary Wells has written and illustrated dozens of books using cats, dogs, rabbits and other animals as her characters. Yoko is a kitten who is new to school and making friends. Max and Ruby are bunny brother and sister learning to get along and the Kindergators are alligators who are practicing their manners. 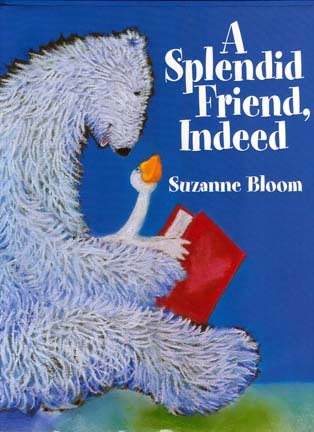 Although Suzanne Bloom doesn’t always use animal characters in her books, her characters Goose and Bear have distinct personalities that make them endearingly predictable. Goose is always talkative and inquisitive. Bear is quiet and humble. Their interactions are entertaining, as you can imagine. Marc Brown’s aardvark siblings Arthur and D.W. started off as characters in his books, and now also star on television. They have friends who are rabbits, monkeys, and a variety of other animals. Buster is a bunny with asthma that teaches by example that kids with asthma can still do everything! You may know of the author and researcher Howard Gardner, who developed the theory of multiple intelligences in 1983. His theory proposes that we all learn in different ways. Some of us remember better if we see something. Others always remember what they hear or what they can touch. Some learn better in social settings and some learn better alone. Most of us are a combination of different learning styles. What ways do you and your children learn best? When you remember something is it because you heard it, saw it, or did it? Visual learners are the artists among us. Here are some books that celebrate seeing the world creatively. 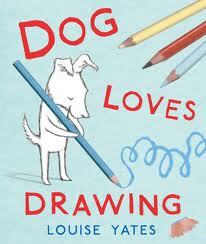 “Dog Loves Drawing” by Louise Yates. Dog loves books. (And he also owns a bookstore!) One day Dog receives a strange book in the mail—it’s blank! Soon Dog realizes that this book is not for reading, but for drawing. Before long, Dog is doodling and drawing lines and colors making a new world, full of friends and surprises. “Ms. McCaw Learns to Draw” by Kaethe Zemach. When Dudley has a hard time learning at school, he doodles. Dudley ends up doodling most of the time he’s in class, but his teacher Ms. McCaw never loses her patience. She supports and encourages Dudley’s desire to draw. Dudley thinks Ms. McCaw knows everything, until one day Ms. McCaw tries to draw–and finds she can’t. Can Dudley teach her something new? 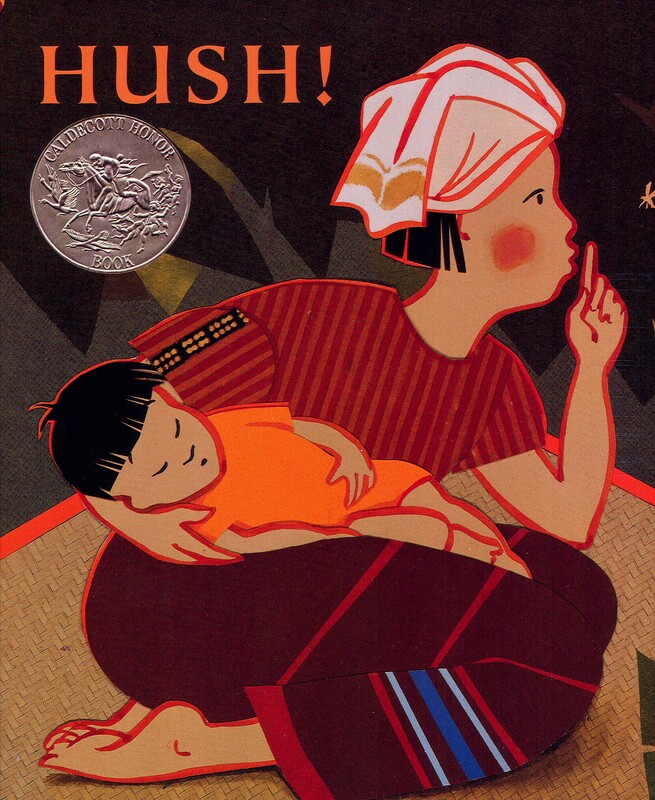 “The Art of Miss Chew” by Patricia Polacco. This is an autobiographical account of how Polacco overcame her own learning difficulties in elementary school through artwork, with adults who believed in her. “Lunchtime for a Purple Snake” by Harriet Ziefert, paintings by Todd McKie. 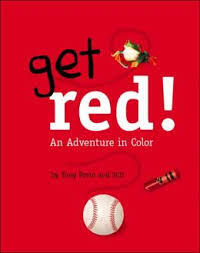 When Jessica goes to visit her grandpa, who is an artist, she learns how to mix colors of paint and they paint a story together.